I like that. The first line has always really resonated with me. Thanks for sharing this with us today! Count me as part of the “second line resonates deeply” crowd. 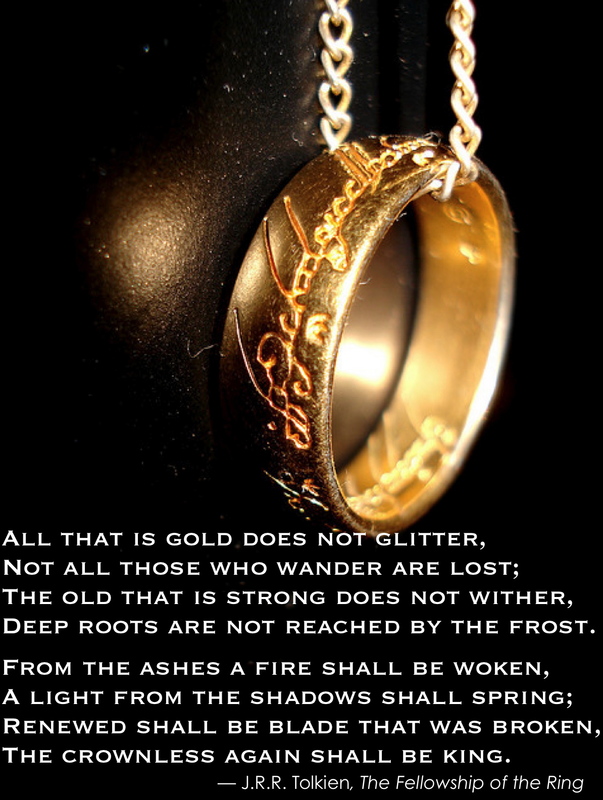 Thought, oddly enough, I never made it through the Lord of the Rings – the flaw is in me, I know. But there it is. The same quote(the second line) has been inspiring me for years! Thanks for sharing this with us!